The next version of Microsoft's SQL Server relational database management system is now available, and along with it comes a special offer designed specifically to woo Oracle customers. 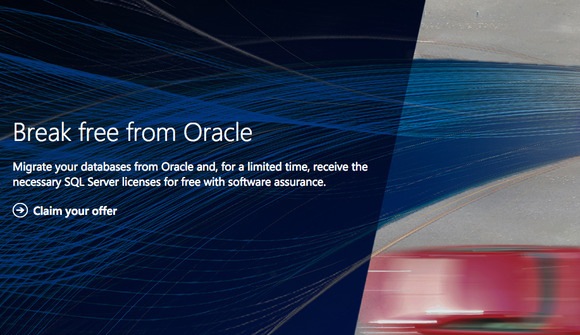 Until the end of this month, Oracle users can migrate their databases to SQL Server 2016 and receive the necessary licenses for free with a subscription to Microsoft's Software Assurance maintenance program. Microsoft announced the June 1 release date for SQL Server 2016 early last month. Among the more notable enhancements it brings are updateable, in-memory column stores and advanced analytics. As a result, applications can now deploy sophisticated analytics and machine learning models within the database at performance levels as much as 100 times faster than what they'd be outside it, Microsoft said. The software's new Always Encrypted feature helps protect data at rest and in memory, while Stretch Database aims to reduce storage costs while keeping data available for querying in Microsoft's Azure cloud. A new Polybase tool allows you to run queries on external data in Hadoop or Azure blob storage. Also included are JSON support, "significantly faster" geospatial query support, a feature called Temporal Tables for "traveling back in time" and a Query Store for ensuring performance consistency. SQL Server 2016 features were first released in Microsoft Azure and stress-tested through more than 1.7 million Azure SQL DB databases. The software comes in Enterprise and Standard editions along with free Developer and Express versions. Support for SQL Server 2005 ended in April. 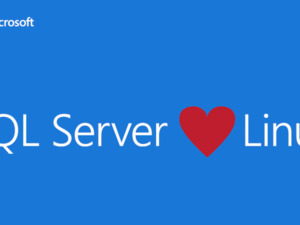 Though Wednesday's announcement didn't mention it, Microsoft previously said it's planning to bring SQL Server to Linux. That version is now due to be released in the middle of next year, Microsoft said.